PARK SLOPE – The Park Slope Food Co-op is looking to expand and its asking Brooklyn residents to weigh in on where the new location should be. The Second Location Study Committee put out a survey yesterday to gain input on a number of factors, but especially the potential location of a second store. The survey lists 17 possible locations, with a large number of those options appearing in Central Brooklyn: Crown Heights, Ditmas Park, Flatbush, Kensington, Prospect Lefferts Gardens and Windsor Terrace. Southern Brooklyn is represented by options in Bay Ridge, Sunset Park and South Slope, while Northern Brooklyn has Bed-Stuy, Bushwick and Greenpoint. There are also three potential Queens options. In a message introducing the survey, the Park Slope Co-op cited the “limited capacity” of the location on Union Street, but assured members—and potential new members—that the core mission of providing affordable food would remain the same. Already, there has been a lot of discussion in community Facebook groups, with residents both for and against the idea of the co-op. Some Ditmas Park neighbors cite gentrification fears, while others see it as a great option for the community. Currently, there are a number of food co-ops operating in Central Brooklyn. The Windsor Food Co-op is at Caton and 8th Street, near the park, while the Flatbush Co-op is located at Cortelyou and Marlborough. Finally, the Lefferts Community Food Co-op is on Empire and Nostrand, at the border of Crown Heights and Prospect Lefferts Gardens. 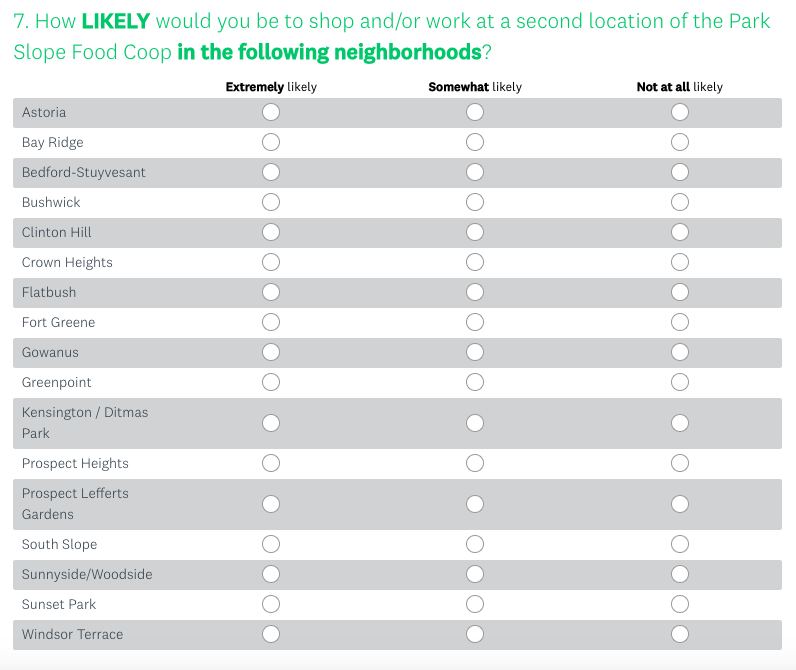 Both members and non-members of the Park Slope Food Co-op can take the survey, which will be available online until May 1. The data collected will be put into a “comprehensive report” sometime this summer. The current model of the Park Slope Food Co-op requires its members to work shifts in order to shop at the market. Becoming a member costs $25, with a $100 “investment” due to the co-op within the first two months of joining. Membership broke 17,000 in 2016, when talks of expansion first began. At that time, the Co-op was doing $1 million per week in sales, according to their internal newspaper. Are you looking forward to a new shopping option in your neighborhood, or do you think the Co-op will drive the wrong kind of changes? Be sure to weigh in on the survey and let us know in the comments! 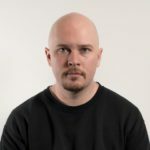 I think a co-op is is a great idea and every neighborhood would benefit from having one. However, if the Park Slope Food Co-op decides to expand, it should only expand into a neighborhood that does not presently have one. Currently, there are many underserved communities that would benefit greatly from having one. I don’t see any rational reason for the Park Slope Food Coop to open up a branch in a neighborhood that already has one. I hope they move right next door to the Flatbush Co-op. Maybe that would encourage the Flatbush Co-op to stop charging egregious prices for sub-par produce and to hire enough staff to prevent lines which stretch around the store. 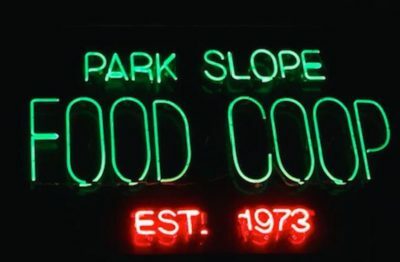 Are Park Slope’s prices any lower than our own Flatbush coop?